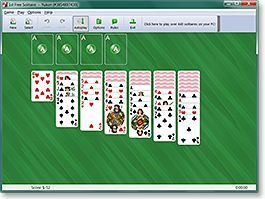 1st Free Solitaire for Windows XP/2003/Vista/7/8/10 is a free collection of 7 popular solitaire card games: Yukon, FreeCell, Klondike, Flower Garden, Nestor, Bisley, Carpet. 1st Free Solitaire features: "Show Next Move" command, one move undo, selectable backgrounds, automatic card moving, restart feature, shuffle selection, sound, and more... Check out the list of features. BVS Solitaire Collection 8.1 for Windows XP/2003/Vista/7/8/10 is a high-class collection of 520 solitaire games. 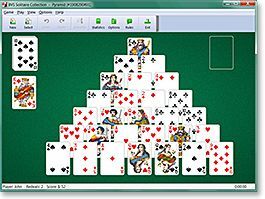 It features all classic solitaire variations like Spider, Freecell, TriPeaks, Scorpion, Accordion, Aces Up, Australian Patience, Eight Off, Russian Solitaire, Canfield, Pyramid, Forty Thieves, Aces Up, Wasp, Crazy Quilt etc. It also includes the huge selection of attactive resizable card sets, card backs and backgrounds. Try it now and you will never regret it !